After a pretty weird hail, thunder and lightning storm last Saturday I was pretty sure that the world was ending. So, faced with a last meal decision I headed to The Great Taste Market in the Centre MK. To my absolute delight I spotted Pieminister and decided that if I was going to die, I may as well treat myself to a proper good pie. 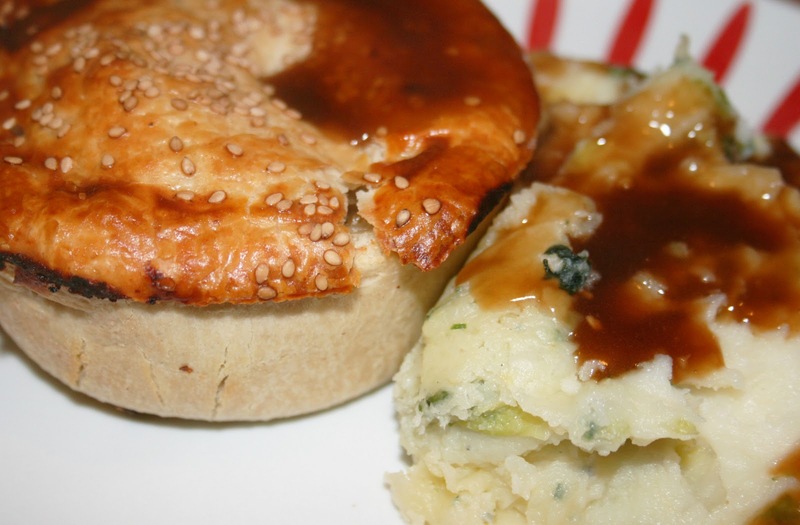 By the time I got home, my toms we're completely filled with water, I'd endured being pelted with hail as I walked from the bus stop (and was a bit scared my umbrella would be struck with lightning) and I was really ready for some pie and mash. I chose the Heidi Pie because it has sweet potato, spinach, roasted garlic and goats cheese. What's not to like there? 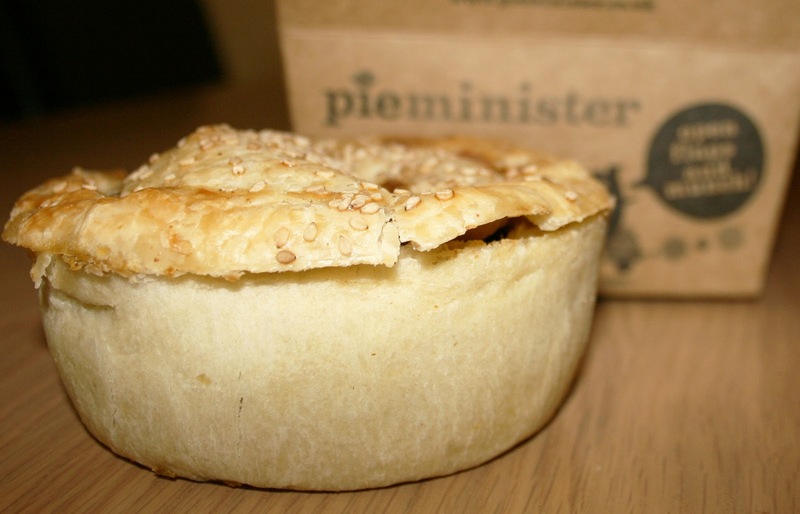 I can't really remember the first time I tried a Pieminister but it was definitely at a festival, and I remember having them a lot at Secret Garden Party last year. So the wonderful autumnal taste took me right back to the lovely SGP, running around with pie in tow, feeling very happy. The pies themselves are amazing quality, as well as the company having a good ethos (perfecto). There are currently 3 vegetarian flavours, the Heidi Pie, Wildshroom and Asparagus and a limited edition Posh Cheddar and Onion Pie. Hopefully they will be doing more vegetarian ones soon (please?) as they really are the best pies I have ever tasted.